STEPHENS, Alexander Hamilton, (great–great–uncle of Robert Grier Stephens, Jr.), a Representative from Georgia; born near Crawfordville, Taliaferro County, Ga., on February 11, 1812; attended private and public schools; was graduated from the University of Georgia at Athens in 1832; taught school eighteen months; studied law; was admitted to the bar in Crawfordville in 1834; member of the State house of representatives 1836-1841; served in the State senate in 1842; elected as a Whig to the Twenty-eighth Congress to fill the vacancy caused by the resignation of Mark A. Cooper; reelected as a Whig to the Twenty-ninth through Thirty-first Congresses, as a Unionist to the Thirty-second Congress, as a Whig to the Thirty-third Congress and as a Democrat to the Thirty-fourth and Thirty-fifth Congresses and served from October 2, 1843, to March 3, 1859; chairman, Committee on Territories (Thirty-fifth Congress); was not a candidate for renomination in 1858; member of the secession convention of Georgia in 1861, which elected him to the Confederate Congress, and was chosen by that Congress as Vice President of the provisional government; elected Vice President of the Confederacy; one of the commissioners representing the Confederacy at the Hampton Roads conference in February 1865; after the Civil War was imprisoned in Fort Warren, Boston Harbor, for five months, until October 1865; elected to the United States Senate in 1866 by the first legislature convened under the new State constitution, but did not present his credentials, as the State had not been readmitted to representation; elected as a Democrat to the Forty-third Congress to fill the vacancy caused by the death of Ambrose R. Wright; reelected to the Forty-fourth and to the three succeeding Congresses and served from December 1, 1873, until his resignation November 4, 1882; chairman, Committee on Coinage, Weights, and Measures (Forty-fourth through Forty-sixth Congresses); elected Governor of Georgia in 1882 and served until his death in Atlanta, Ga., March 4, 1883; interment in a vault in Oakland Cemetery; reinterment on his estate, "Liberty Hall," near Crawfordville, Ga.
Papers: 1822-1911. 3,029 items and 3 volumes. Personal, legal, and political correspondence and scattered newspaper clippings, relating to various aspects of his career. Card index in library. Papers: 1826-1935. 3,811 items and 5 reels of microfilm. Personal and political correspondence, legal papers from his law practice, financial papers, speeches, clippings, printed material, and family papers. Microfilm of originals in Manhattanville College and Duke University. Unpublished register in library. Papers: Correspondence in the James Pinkney Hambleton papers, 1857-1893. 277 items. Papers: 1/4 cubic foot. Personal papers and correspondence, including photographs. Finding aid in repository. Papers: In File II Names. File is primarily incoming correspondence to the Governor of Georgia. Finding aid in repository. Papers: 1858-1882. ca. 300 letters. To William H. Hidell on political and social subjects. Papers: 1784-1886. 29 linear feet (116 containers). The papers of Alexander Hamilton Stephens consist primarily of correspondence, supplemented by an autobiography and journal and miscellaneous memoranda, legal documents, and clippings. A finding aid is available online. Papers: 1834-1891. 6 reels of microfilm. Correspondence between Stephens and his half brother, Linton Stephens, Georgia state legislator and jurist, principally relating to personal, family, and plantation matters. Includes material on sectional and national issues. Originals in Manhattanville College Library. Restrictions apply. Papers: 1834-1880. 3,000 items. Letters between Stephens and Linton Stephens on personal, family, and plantation matters. Unpublished calendar in repository. Brumgardt, John R. "The Confederate Career of Alexander H. Stephens: The Case Reopened." Civil War History 27 (March 1981): 64-81. Burger, Nash K., and John K. Bettersworth. "The South's Conscience: Alexander H. Stephens." In South of Appomattox, pp. 144-72. New York: Harcourt, Brace and Company, 1959. Cleveland, Henry. 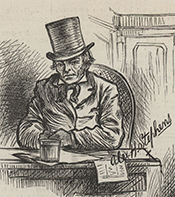 Alexander H. Stephens in Public and Private. Philadelphia: National Publishing Company, 1866. Davis, Jefferson and Alexander Stephens. Robert E. Lee. Edited and with an introduction and notes by Harold B. Simpson. Hillsboro, Tex. : Hill Junior College Press, 1983. Davis, William C. The Union that Shaped the Confederacy: Robert Toombs & Alexander H. Stephens. Lawrence, Kan.: University Press of Kansas, 2001. Golden, James L. "Alexander H. Stephens Speaks for the Union." Quarterly Journal of Speech 47 (December 1961): 355-62. Hubbell, John T. "Three Georgia Unionists and the Compromise of 1850." Georgia Historical Quarterly 51 (September 1967): 307-23. Johnston, Richard Malcolm, and William H. Life of Alexander H. Stephens. Philadelphia: J. B. Lippincott, 1878. Knight, Lucian Lamar. Alexander H. Stephens, the Sage of Liberty Hall: Georgia's Great Commoner. [Liberty Hall, Ga.? : United Daughters of the Confederacy, Georgia Division, 1994]. Norton, Frank H. The Life of Alexander H. Stephens. New York: John B. Alden, 1883. Pendleton, Louis. Alexander H. Stephens. Philadelphia: G.W. Jacobs & Company, . Rabun, James Z. "Alexander H. Stephens: A Biography." Ph.D. diss., University of Chicago, 1949. ___. "Alexander H. Stephens and Jefferson Davis." American Historical Review 58 (1953): 290-321. Richardson, Eudora Ramsay. Little Aleck: A Life of Alexander H. Stephens, The Fighting Vice-President of the Confederacy. Indianapolis: Bobbs-Merrill, 1932. Robb, James. A Southern Confederacy. Letters by James Robb, late a citizen of New Orleans, to an American in Paris, and Hon. Alexander H. Stephens, of Georgia. Chicago: Press of J.S. Thompson, 1862. Schott, Thomas E. "Alexander H. Stephens: Antebellum Statesman." Ph.D. diss., Louisiana State University, 1978. ___. Alexander H. Stephens of Georgia: A Biography. Baton Rouge: Louisiana State University Press, 1988. Stephens, Alexander H. Address of Hon. Alexander H. Stephens. Milledgeville, Ga.: Boughton, Nisbet, Barnes & Moore, state printers, 1866. ___. "Alexander H. Stephens's Diary, 1834-1837." Edited by James Z. Rabun. Georgia Historical Quarterly 36 (March 1952): 71-96; (June 1952): 163-89. ___. Alexander H. Stephens on the study of the law. Atlanta, Ga.: Daily Sun Steam-power Presses, 1871. ___. The assertions of a secessionist. From the speech of A.H. Stephens, of Georgia, November 14, 1860. New York: Loyal Publication Society, 1864. ___. A campaign tract for 1864. [N. p., 1864]. ___. Carpenter's picture, Lincoln and emancipation. [Washington: Darby & Duvall, printers, 1878]. ___. A compendium of the history of the United States from the earliest settlements to 1872. New York: E.J. Hale, 1872. ___. A compendium of the history of the United States from the earliest settlements to 1883. 1885. Reprint, New York: E. J. Hale & Son, 1889. ___. A comprehensive and popular history of the United States, embracing a full account of the discovery and settlement of the country ... and events down to the present time. By Alexander H. Stephens. Embellished with more than 300 fine historical engravings and portraits. Philadelphia and Chicago: The National Publishing Co., . ___. A Constitutional View of the Late War Between the States. 2 vols. Philadelphia: National Publishing Company, 1868-1870. ___. Extracts from the speech of the Hon. Alex. H. Stephens. [New Orleans: Printed at the office of the Louisiana Courier, 1855]. ___. Georgia and Ohio Again. Washington: Printed at the Congressional Globe Office, 1855. ___. The Hampton Roads Conference. Edited by John H. Bartlett. [United States]: J.H. Bartlett, 1994. ___. Kansas contested election. [Washington: Printed at the office of the Congressional Globe, 1856]. ___. Kansas contested election. Speech of Hon, A. H. Stephens, of Georgia, delivered in the House of Representatives, March 11, 1856, on the resolution from the Committee of Elections asking for power to send for persons and papers in the Kansas election case. [Washington: Printed at the office of the Congressional Globe, 1856]. ___. Letter for Posterity: Alex Stephens to His Brother Linton, June 3, 1864. Edited by James Z. Rabun. Emory University Sources and Reprints Services 7, No. 3. Atlanta: Emory University Library, 1954. ___. A letter of Alexander H. Stephens, 1854. [New York: N.p., 1902]. ___. The neutrality laws. [Washington: Printed at the Congressional Globe Office, 1858]. ___. Prophecy and fulfillment. Speech of A. H. Stephens, of Georgia, (vice-president of the so-called Confederate States.) New York: Holman, printer, 1863. ___. Recollections: His Diary Kept When Prisoners at Fort Warren, Boston Harbour, 1865. Edited by Myrta Lockett Avary. New York: Da Capo Press, 1971. ___. The reviewers reviewed; a supplement to the "War between the states," etc., with an appendix in review of "Reconstruction," so called. New York: D. Appleton and Company, 1872. ___. Speech of Alexander H. Stephens, in January 1861, before the Georgia state convention, together with acts that were committed prior to the present administration going into power. Baltimore: Sherwood & Co., printers, 1864. ___. Speech of Hon. Alex. H. Stephens, delivered before the Georgia legislature, on Wednesday night, March 16th, 1864. Reported for the Atlanta Intelligencer by A.E Marshall and revised by himself. Atlanta: Intelligencer Steam Power Presses, 1864. ___. Speech of Hon. Alexander H. Stephens, of Georgia, on the admission of Minnesota and alien suffrage; delivered in the House of Representatives, May 11, 1858. Washington: Printed at the Congressional Globe Office, 1858. ___. Speech of Hon. Alex H. Stephens of Georgia on the Kansas election. Delivered in the House of Representatives, February 19, 1856. [Washington: Printed at the office of the Congressional Globe, 1856]. ___. Speech of Hon. Alexander H. Stephens, of Georgia, on the presidential election of 1856; the compromise of 1850; and the Kansas-Nebraska act of 1854. Delivered in the House of Representatives, January 6, 1857. Washington: Printed at the office of the Congressional Globe, 1857. ___. Speech of Hon. Alexander H. Stephens, of Georgia, on the report of the Kansas investigating committee, in the case of Reeder against Whitfield. Washington: Printed at the Congressional Globe Office, 1856. ___. Texas and New Mexico: Speech of Hon. A. H. Stephens, of Georgia, in the House of Representatives, Friday, August 9, 1850, on the President's message of August 6, 1850, concerning Texas and New Mexico. [Washington: Printed at the Congressional Globe Office, 1850]. ___. To the people of Georgia. [Washington: N.p., 1844]. ___. The views of Hon. Alexander H. Stephens on the Nicaragua ship canal. New York: Evening Post Job Print, . Toombs, Robert Augustus. The Correspondence of Robert Toombs, Alexander H. Stephens, and Howell Cobb. Edited by Ulrich Bonnell Phillips. New York: Da Capo Press, 1970. Von Abele, Rudolph Radama. Alexander H. Stephens: A Biography. New York: Alfred A. Knopf, 1946.